Day 1 Fly to St John's: On arrival collect your car and make your way to your hotel. Day 2 St John's: At leisure to explore this city that blends a proud Canadian Maritimes heritage with the amenities of a modern city. 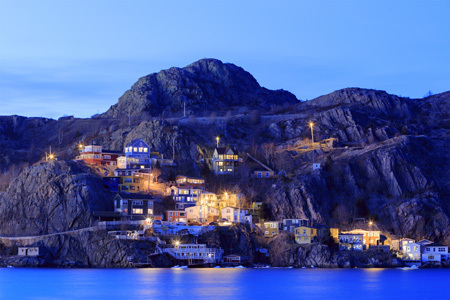 Perhaps visit Signal Hill National Historic Park at the entrance to the deep natural harbour. 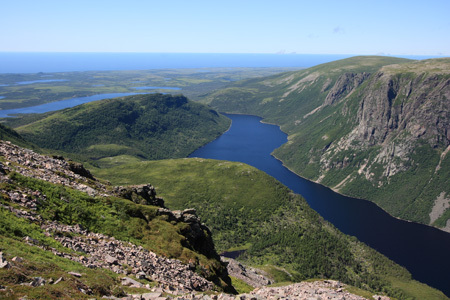 Day 3 St John's/Trinity: The road northward today takes you through the iconic inlet villages of Clarenville and North West Brook, boasting the classic colours and architecture of the Canadian Maritimes. Take some time to stop and visit some of these towns en route to Trinity (167 miles). 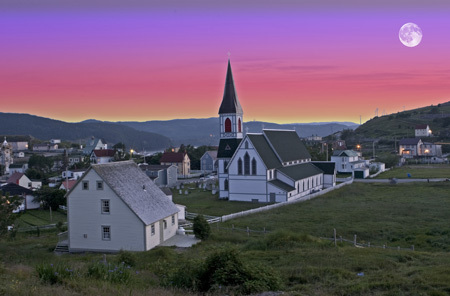 Day 4 Trinity: The echoes of the 19th century still ring in the steeple of St Paul's Anglican Church in Trinity, just as the English Arts Harbour Centre celebrates crafts, traditional art and music of the island. Day 5 Trinity/Twillingate: Travel through Terra Nova National Park on the way to the northern shores of the island. Photo opportunities abound at this small, but spectacular park. Perhaps stop for lunch in Gander which is the half way point to your destination of the waterside community of Twillingate (192 miles). Day 6 Twillingate: Embark on a two hour narrated tour in search of icebergs and whales on a true Newfoundland cultural adventure. Explore Iceberg Alley and marvel at 12,000 year old Greenland icebergs on their epic journey from the Arctic Circle to Newfoundland and beyond. Day 7 Twillingate/Rocky Harbour: Crossing the top of the island, the road travels through small communities that live in close connection with the bountiful natural resources of the province. Perhaps plan to stop in the village of South Brook, where multi- coloured houses adorn the steep hillsides. Pass through the gates of Grose Morne National Park to reach the coast (264 miles). Day 8 Rocky Harbour/L'Anse au Claire: Follow the road up the north coast of the island's 'finger' peninsula where it narrows against the Labrador coast, creating the Gulf of St Lawrence. A short ferry ride across the mouth of the bay reveals the untamed beauty of the eastward Atlantic Ocean as it continuously carves the shoreline (149 miles land only). Day 9 L'Anse au Claire: The shores of Labrador are some of the most untamed, open-water shorellines in North America. In the 19th century, it was a location for whaling, but the area is now a centre for historical and eco-tourism. Perhaps take a trip to Red Bay, a UNESCO World Heritage Site that preserves some of the buildings essential to the European whaling industry at its height. Day 11 St Anthony: No trip to St Anthony is complete without an afternoon at Fishing Point Municipal Park! This coastline park is famous for iceberg watching into the early summer and has an iconic lighthouse overlooking the waters. Restaurants serve up local fare, making it the perfect place to spend the day. 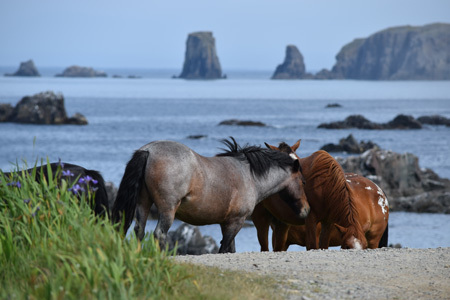 Day 12 St Anthony/Cow Head: A return trip along the southern shore of the Gulf of St Lawrence gives you a second chance to visit the small coastal villages that populate the route. In Cow Head, take some time and lounge on Shallow Bay Beach - the white sands and clear waters inviting all visitors to spend some time under the sun (188 miles). Day 13 Cow Head/Gander: A return trip across the heart of the island to the riverside small city of Gander - a community celebrating its rich aviation history and ideal, central location in the province. The airport museum displays the town's relation both to the earliest days of Canadian aviation, and later its importance as a flight staging area during World War II (259 miles). Day 14 Gander/St John's: Your tour concludes as you drive back to St John's airport for your onward journey (206 miles). Departures: Daily between 09 May-25 Sep 19. Tour price: The price shown is based on the best value travel dates in low season and includes international flights, 14 days group B car hire, 13 nights accommodation in 3hotels, iceberg and whale watching tour on day 6, ferry travel as outlined and personalised Canada roadbook.